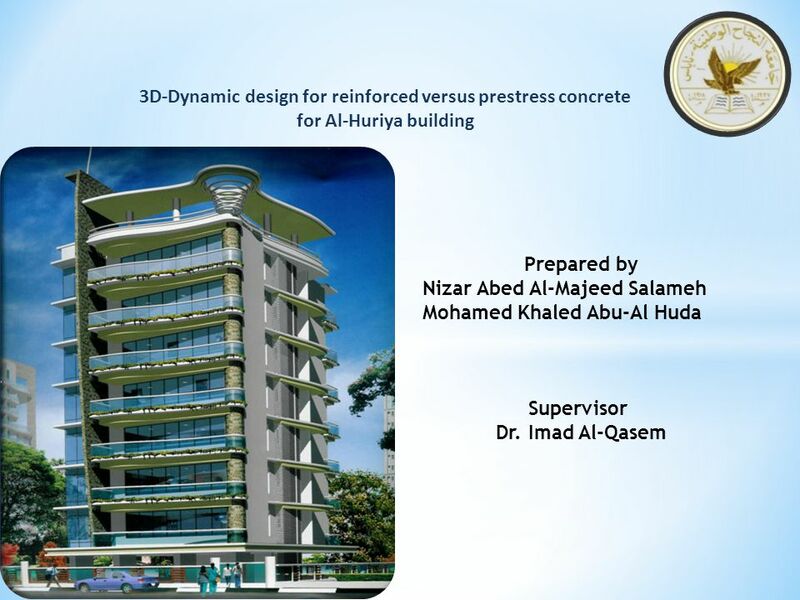 3D-Dynamic design for reinforced versus prestress concrete for Al-Huriya building Prepared by Nizar Abed Al-Majeed Salameh Mohamed Khaled Abu-Al Huda Supervisor. 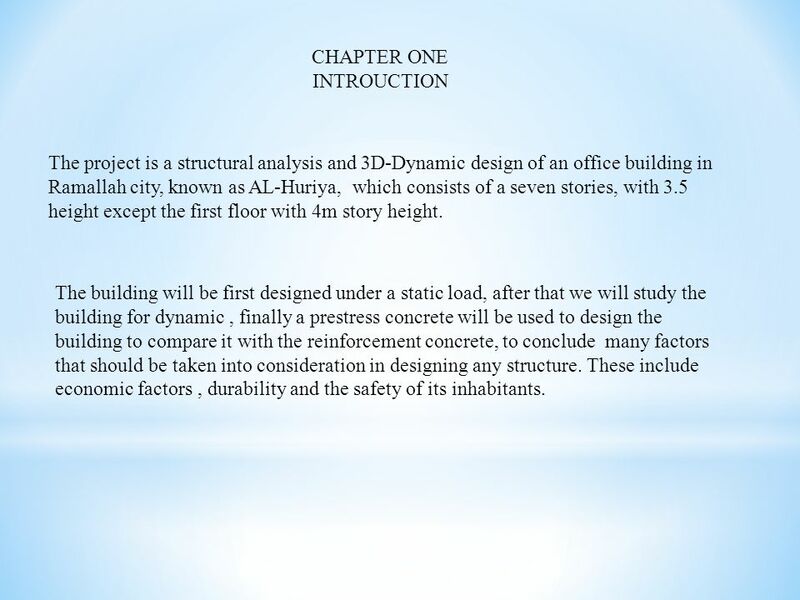 2 CHAPTER ONE INTROUCTION The project is a structural analysis and 3D-Dynamic design of an office building in Ramallah city, known as AL-Huriya, which consists of a seven stories, with 3.5 height except the first floor with 4m story height. 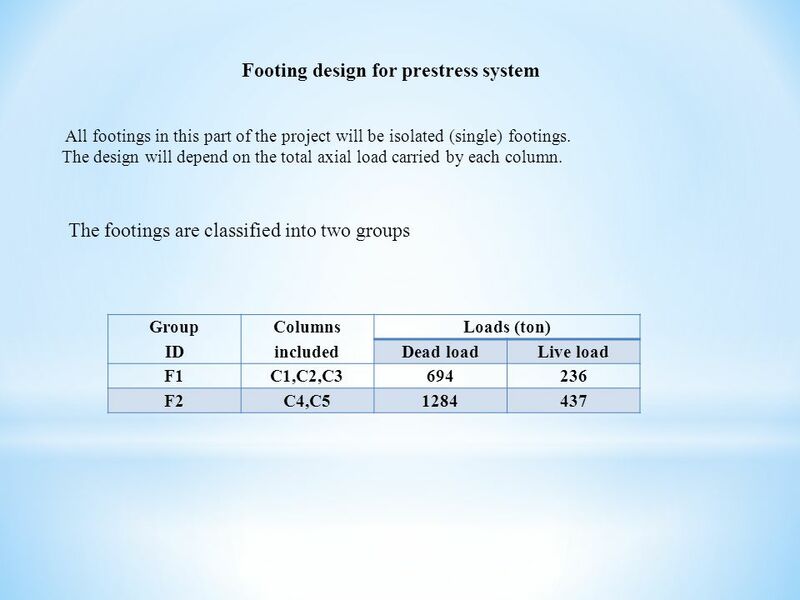 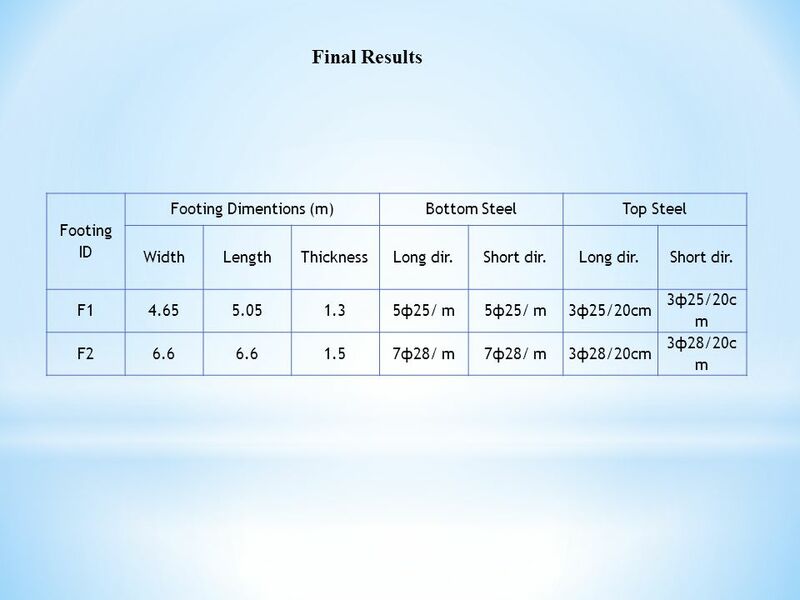 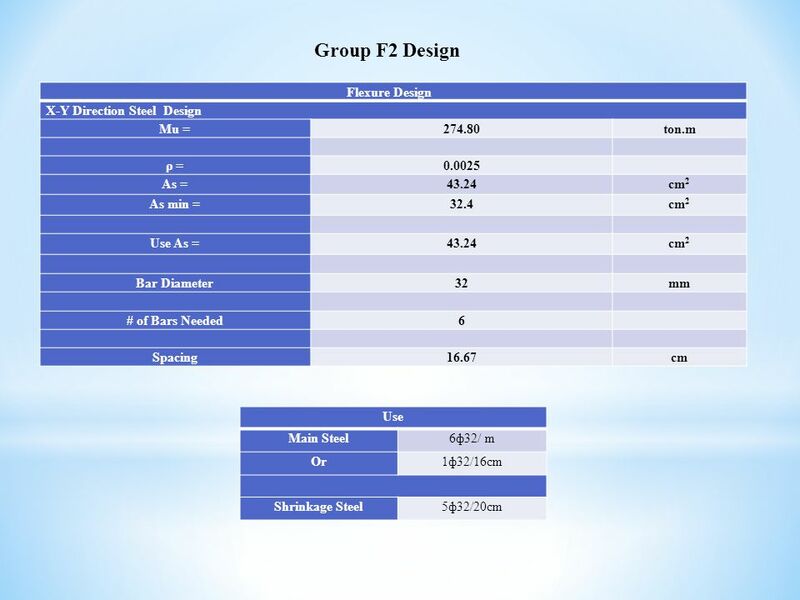 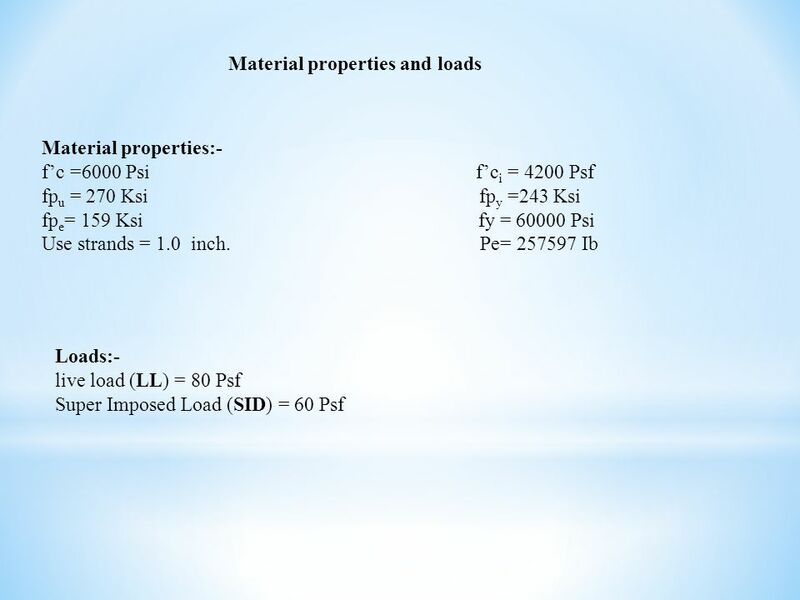 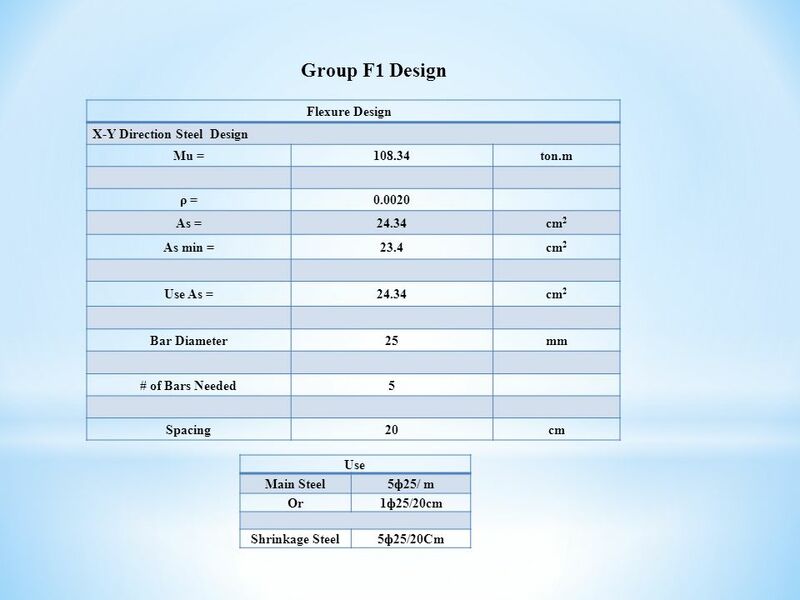 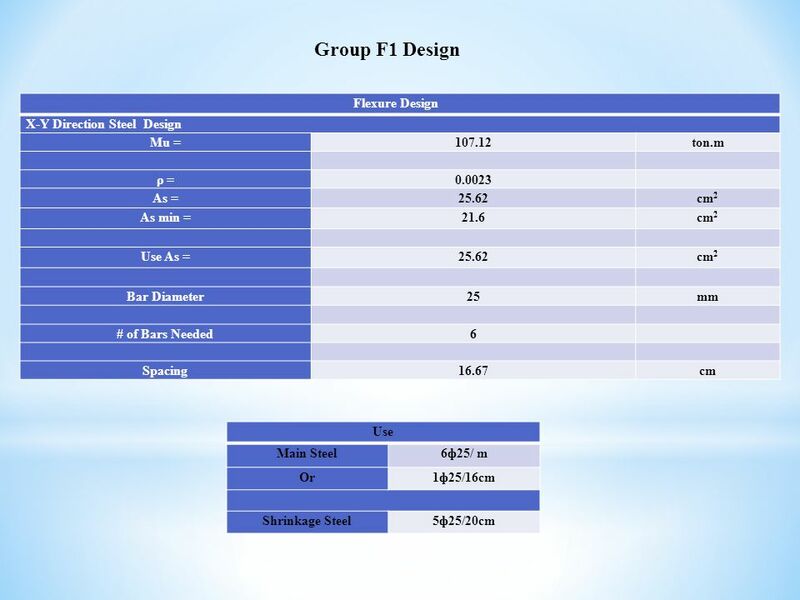 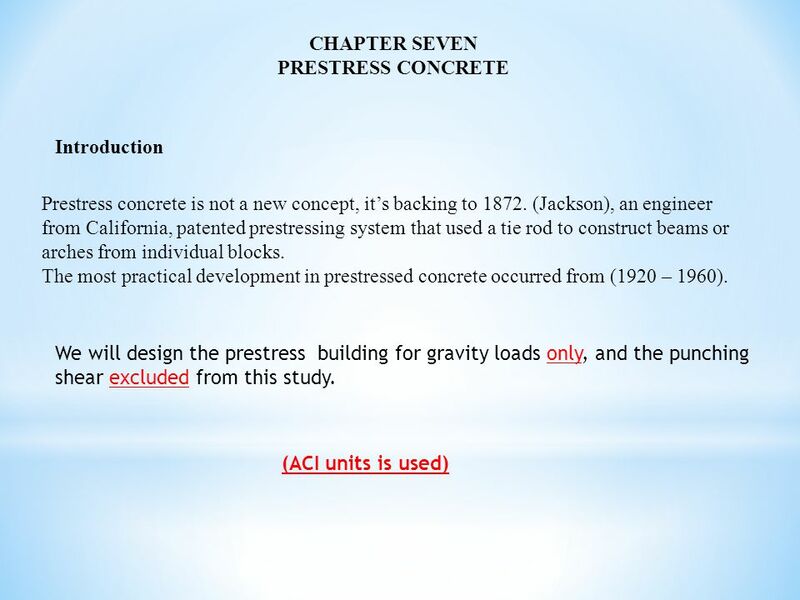 The building will be first designed under a static load, after that we will study the building for dynamic, finally a prestress concrete will be used to design the building to compare it with the reinforcement concrete, to conclude many factors that should be taken into consideration in designing any structure. 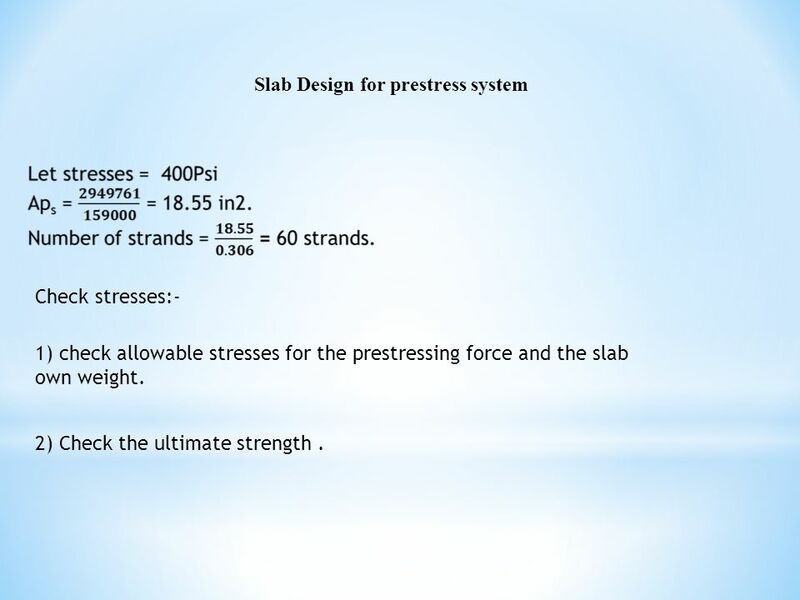 These include economic factors, durability and the safety of its inhabitants. 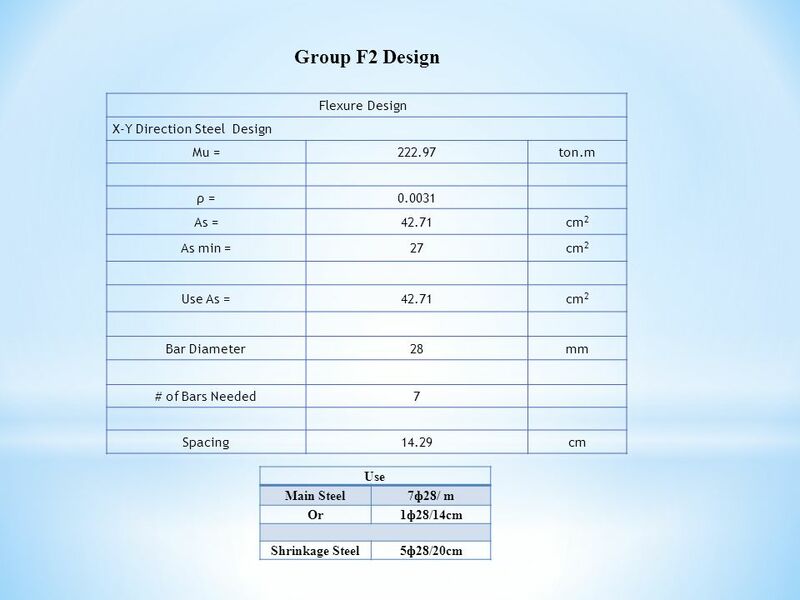 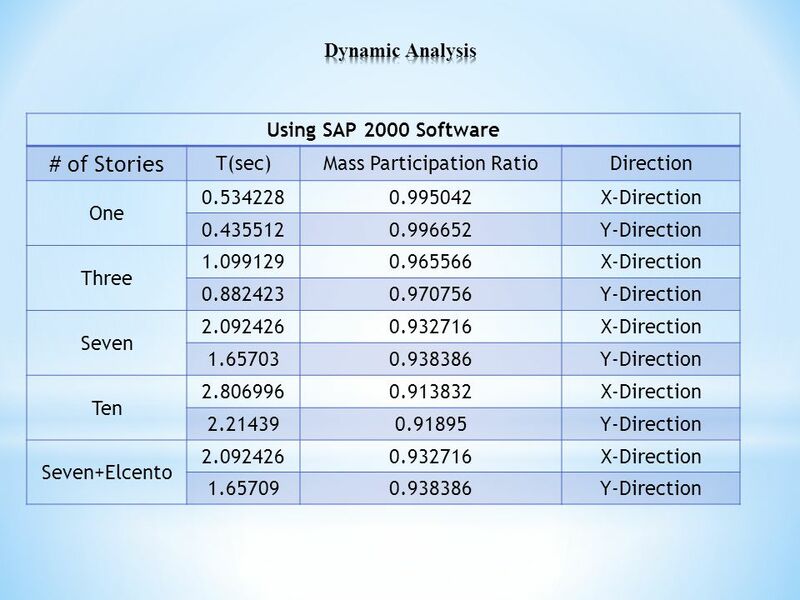 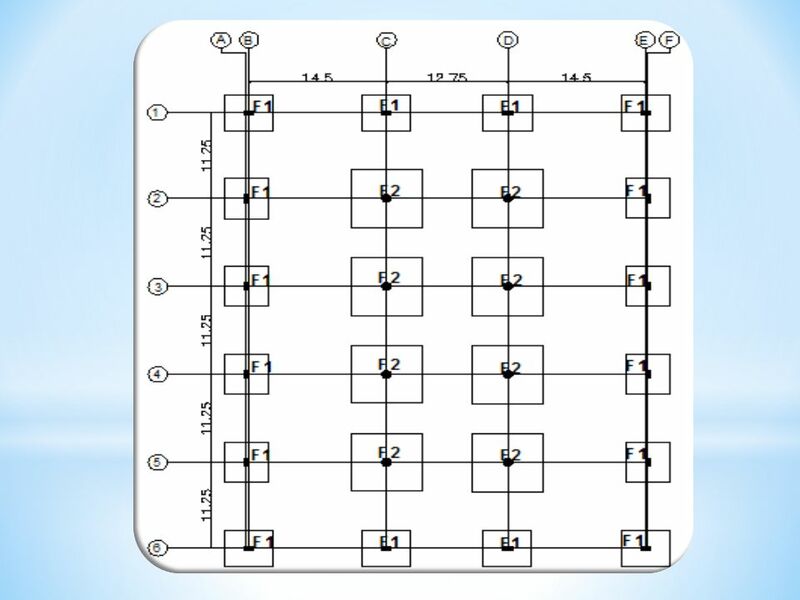 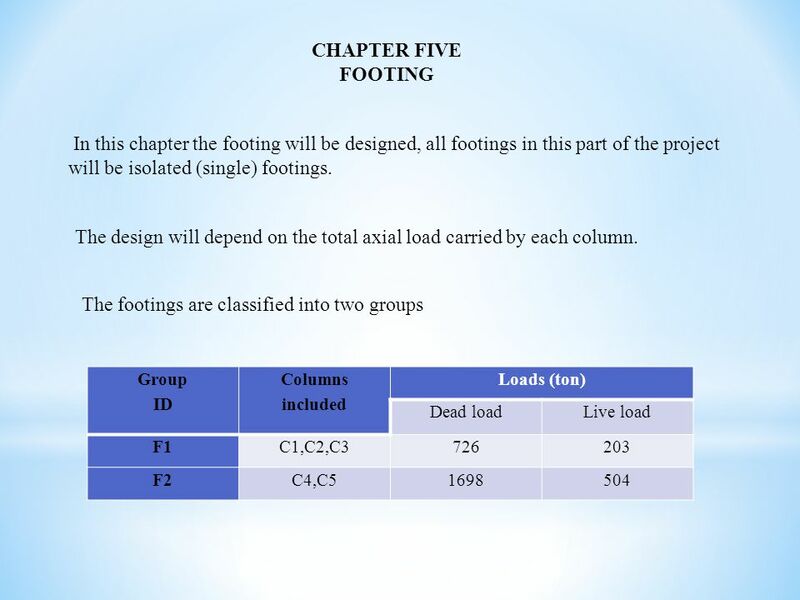 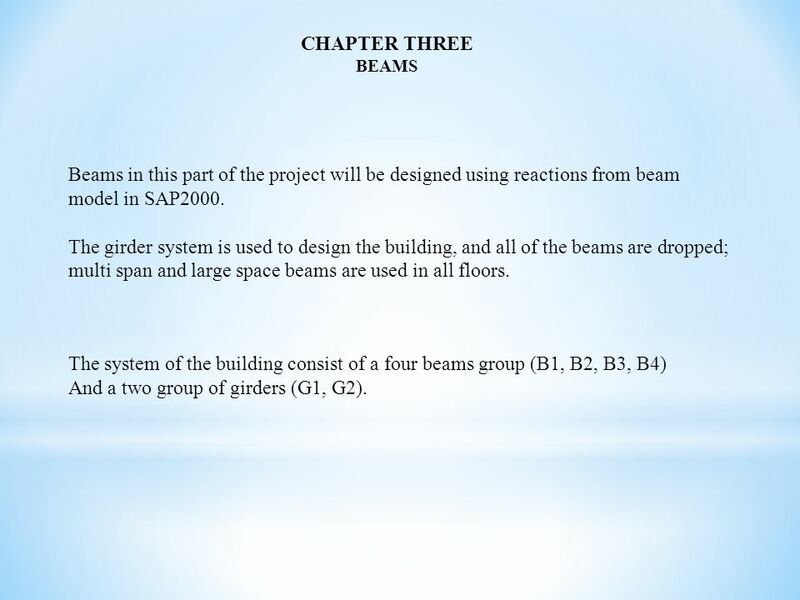 7 CHAPTER THREE BEAMS Beams in this part of the project will be designed using reactions from beam model in SAP2000. 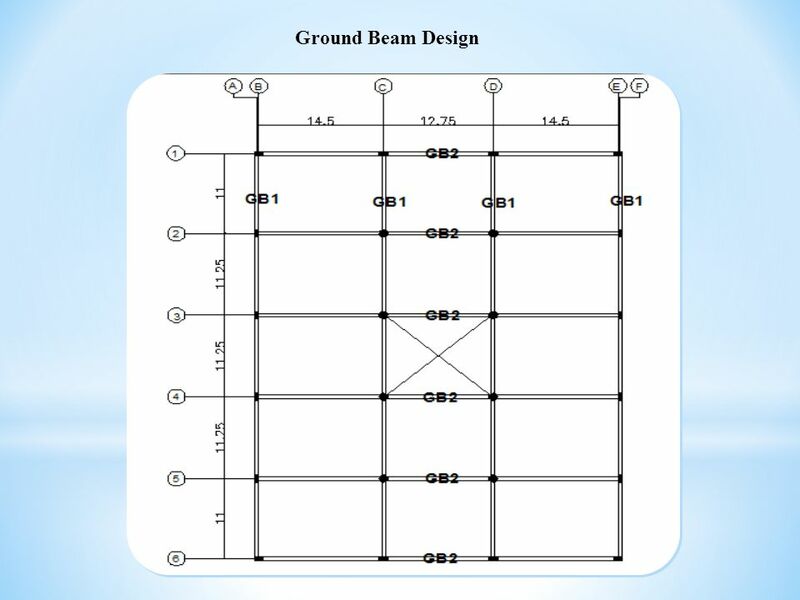 The girder system is used to design the building, and all of the beams are dropped; multi span and large space beams are used in all floors. 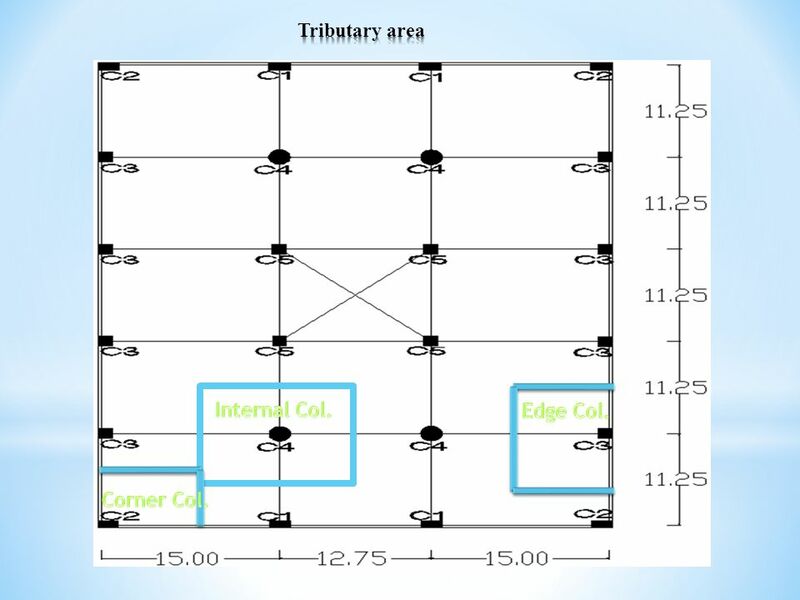 The system of the building consist of a four beams group (B1, B2, B3, B4) And a two group of girders (G1, G2). 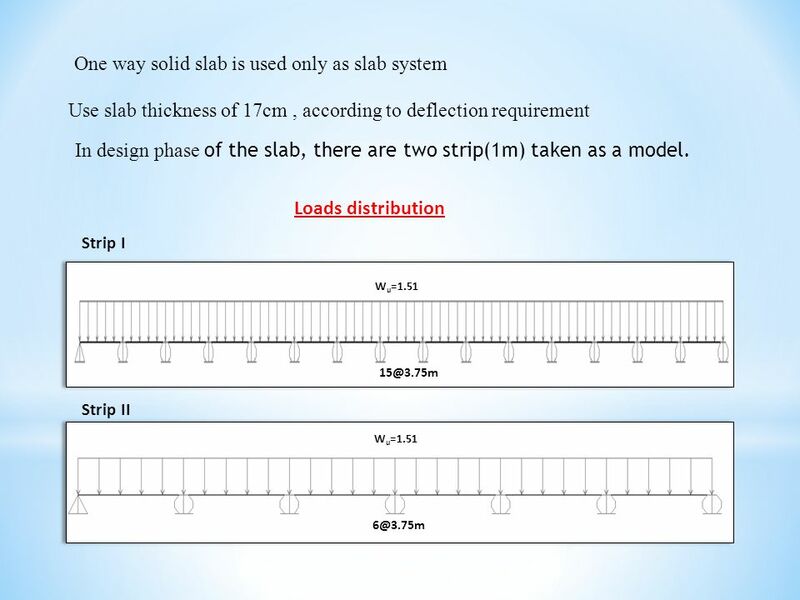 29 Slab thickness = = 13.13 inches. 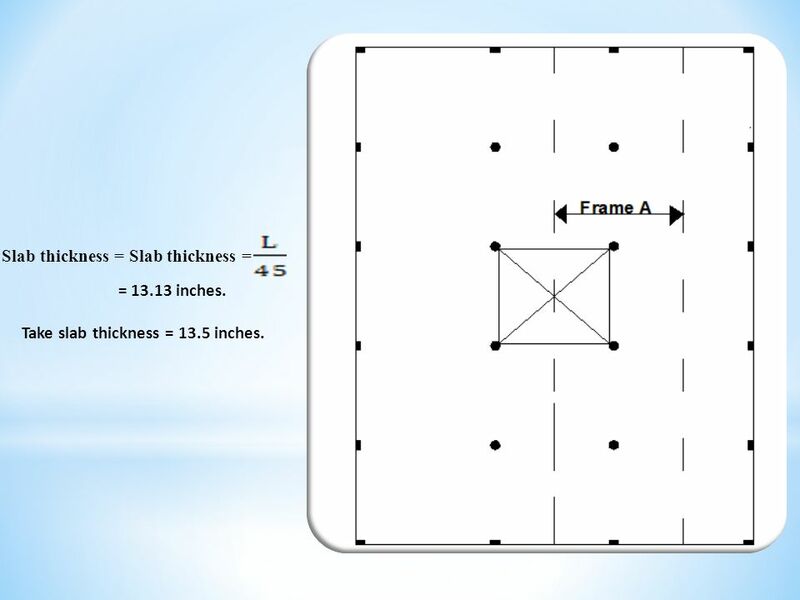 Take slab thickness = 13.5 inches. 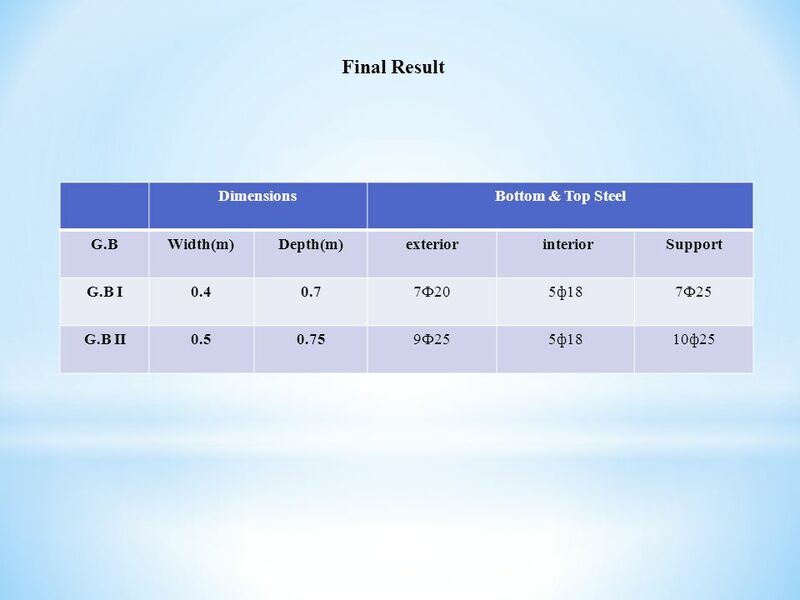 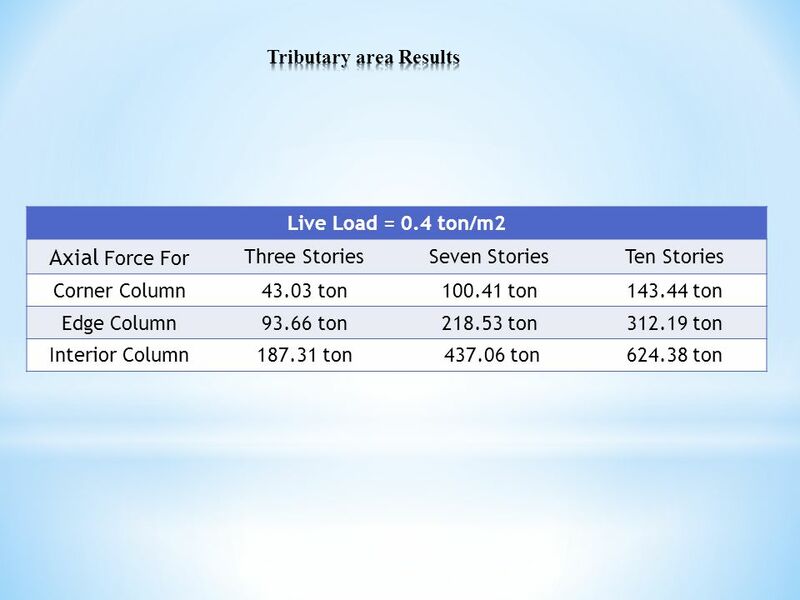 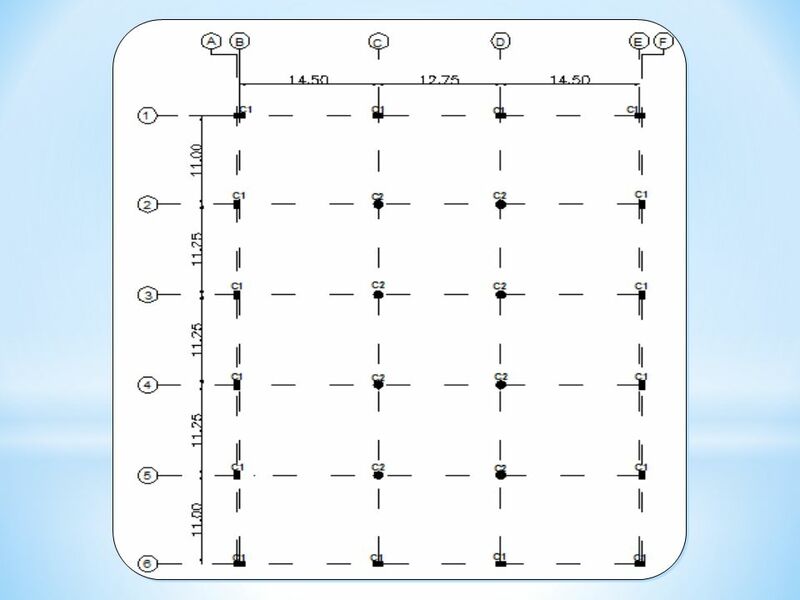 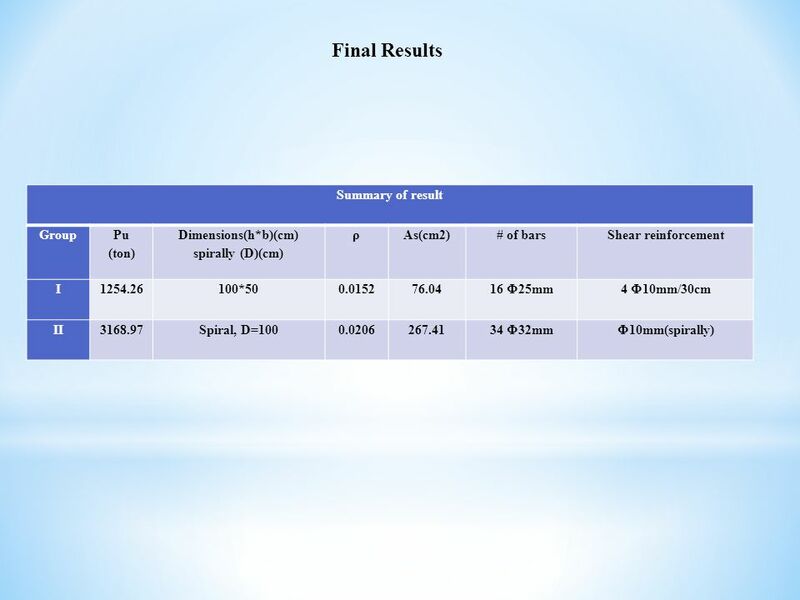 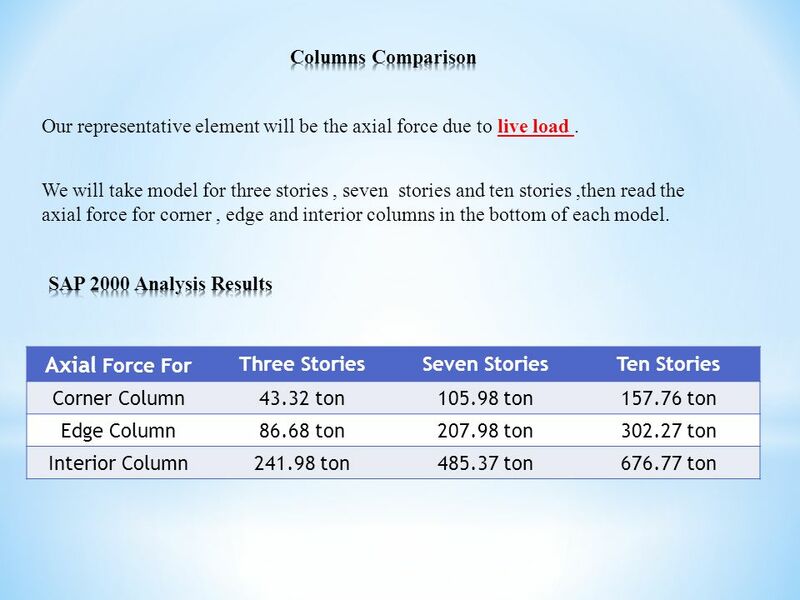 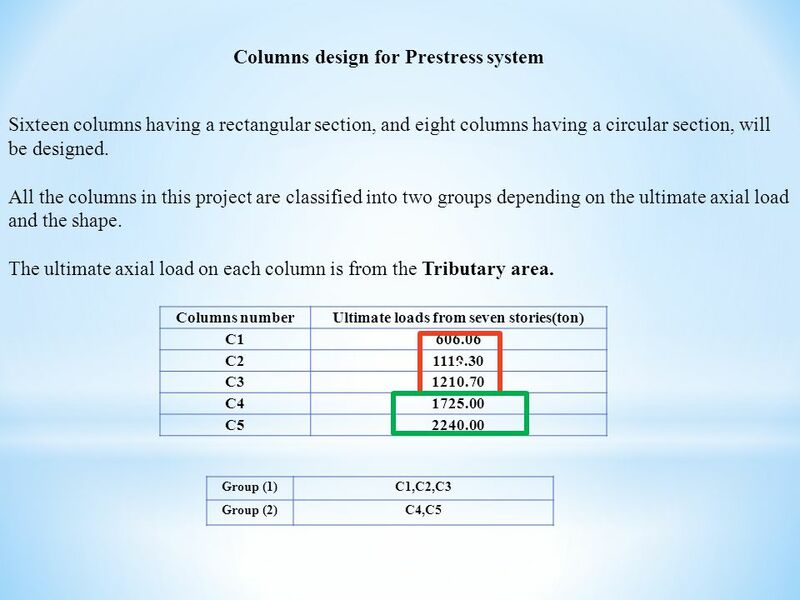 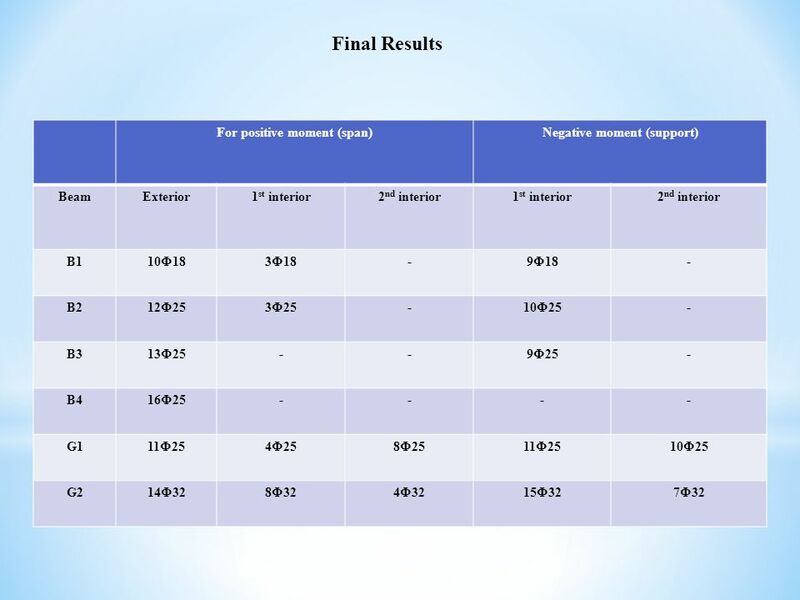 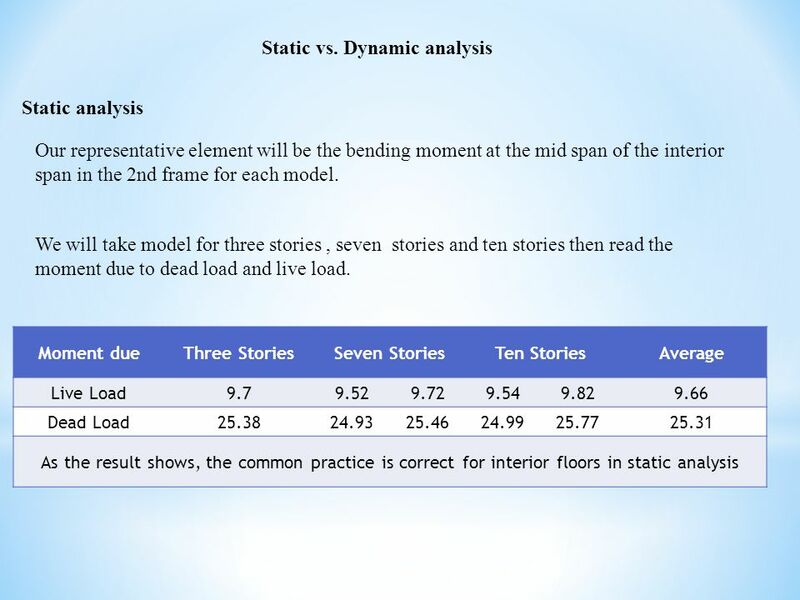 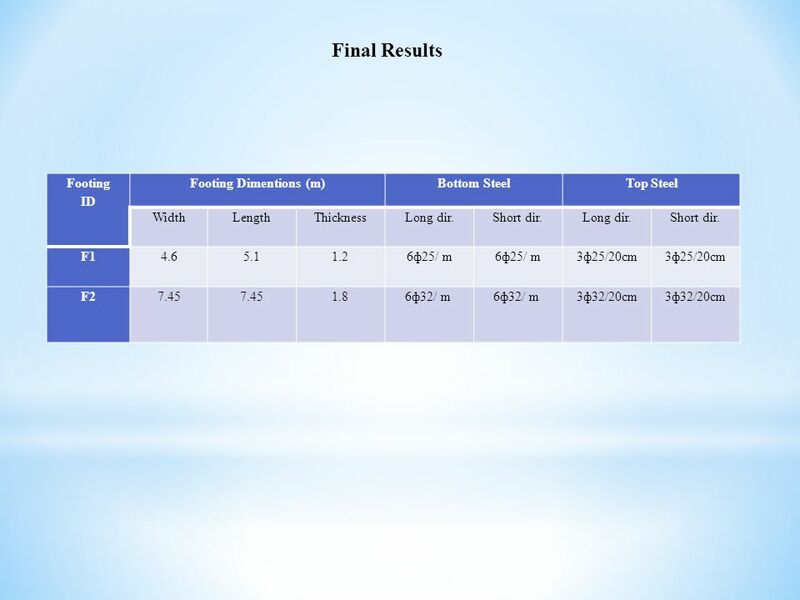 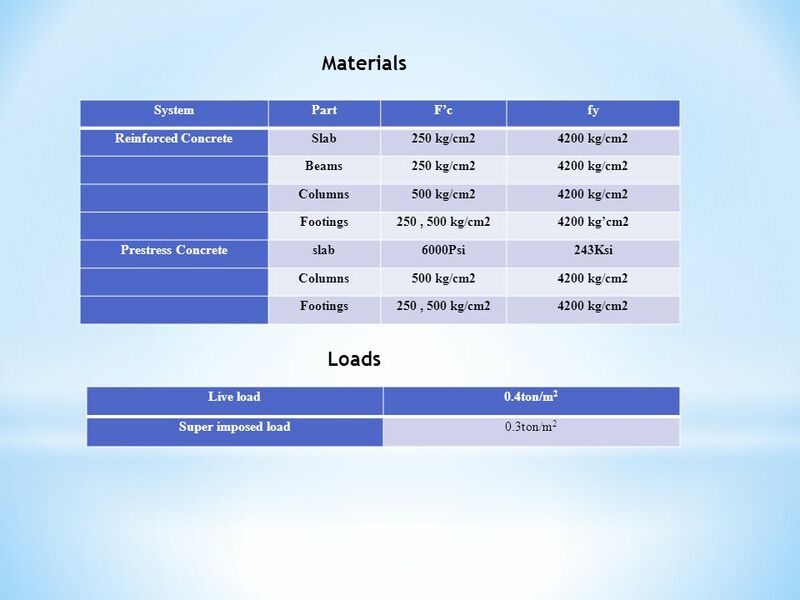 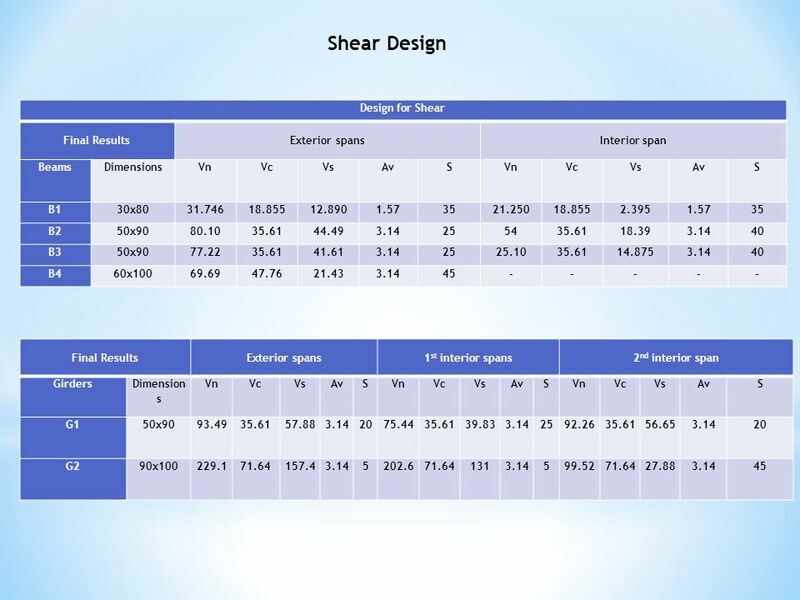 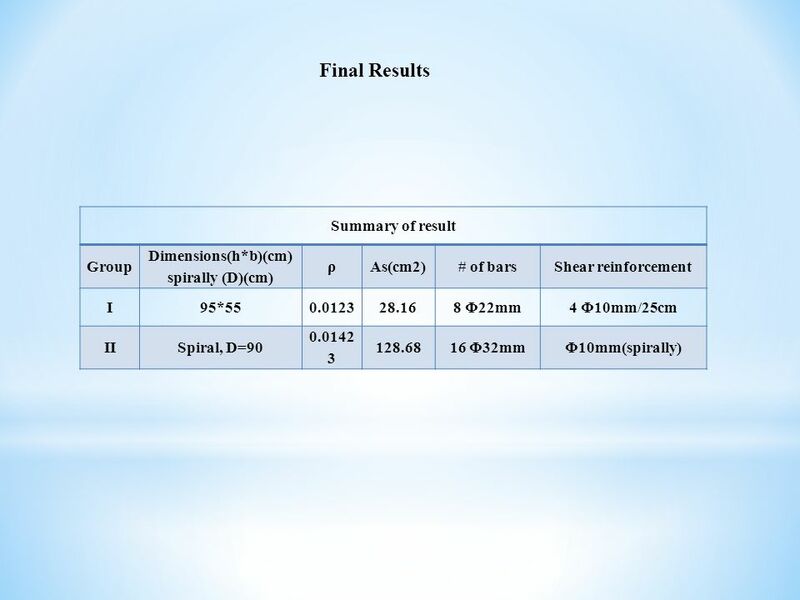 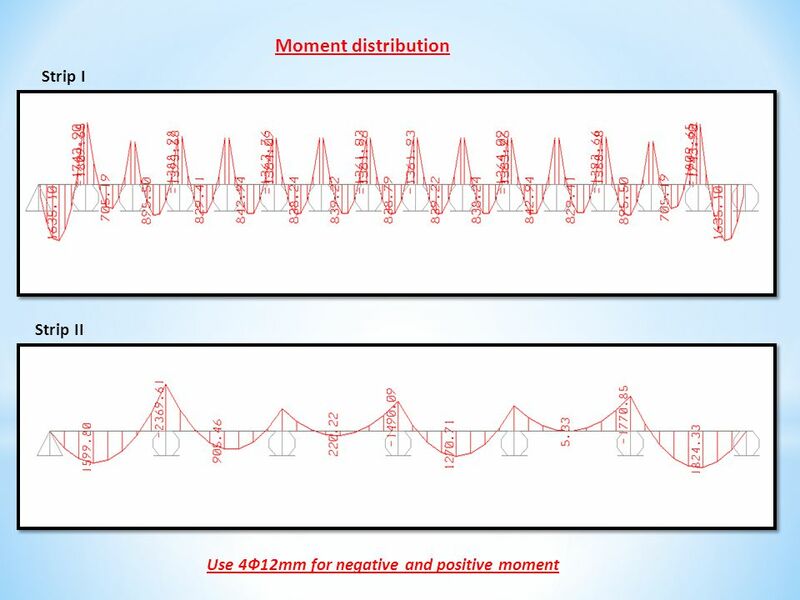 Download ppt "3D-Dynamic design for reinforced versus prestress concrete for Al-Huriya building Prepared by Nizar Abed Al-Majeed Salameh Mohamed Khaled Abu-Al Huda Supervisor." 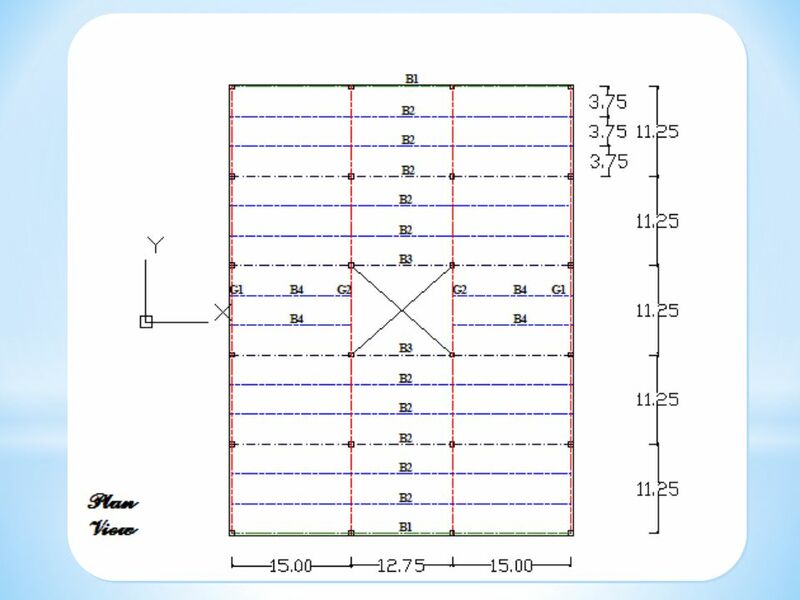 Outline CH1.Introduction CH2.Preliminary Design CH3.3D Model. 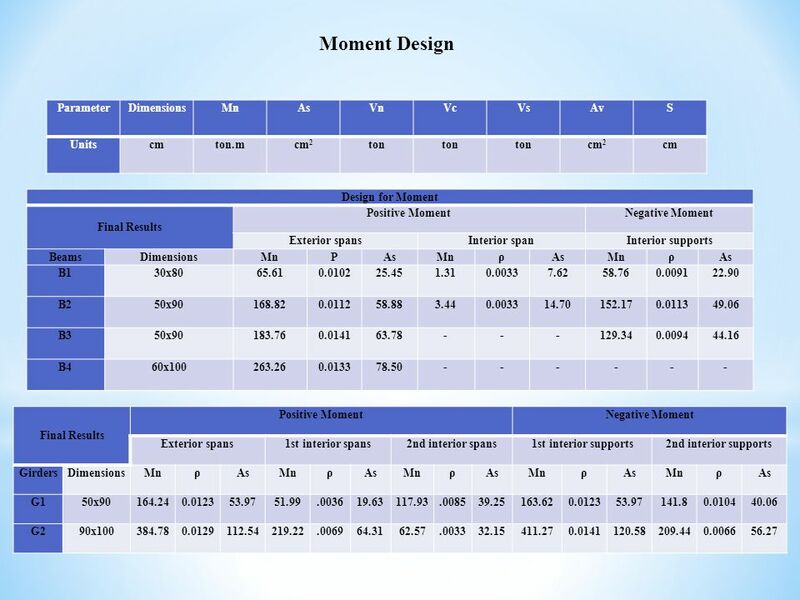 Graduation Project 3D Dynamic and Soil Structure Interaction Design for Al-Huda Building. 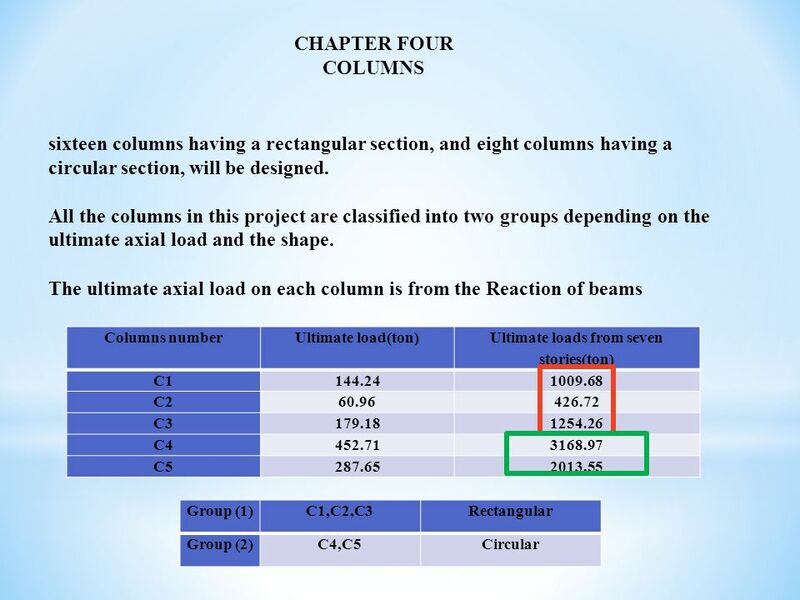 Lecture 9 - Flexure June 20, 2003 CVEN 444. 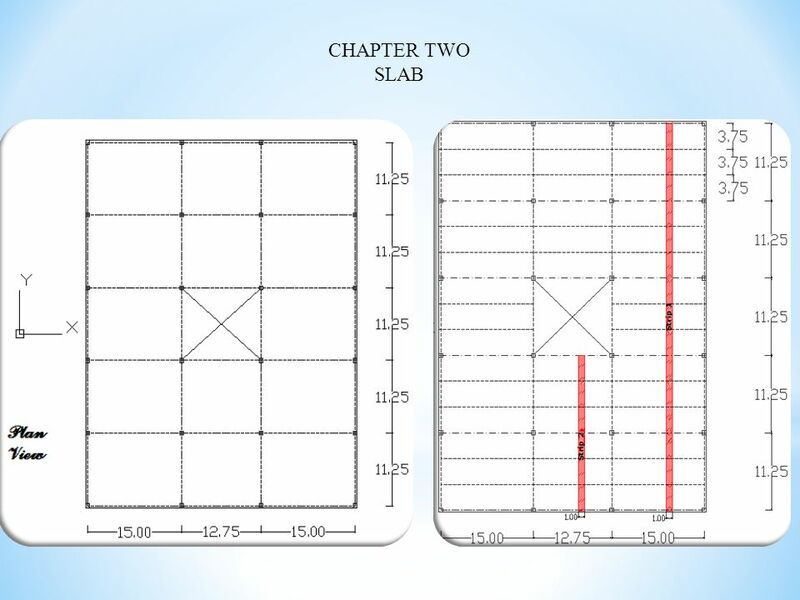 Lecture Goals Slab design reinforcement.